I feel that focusing on the customer experience is like having a sat nav for your business. A business plan is like looking at a map and planning your journey. But that doesn’t allow for any changes such as road closures or accidents. A sat nav keeps updating the best route for you, taking into account any changes ahead. A business that doesn’t change may still make progress, but it’s likely to slow down until it just stops. Just because customer expectations have changed and the business hasn’t changed with them. Look at your business through your customers’ eyes and get their feedback. Then make changes, and tell customers. This means that your business will always be evolving. You are showing your customers that you value their opinion and advice. Change can be scary though. Regular small changes are best. 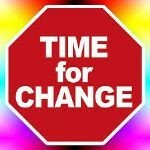 They are much more effective than having one massive programme of change. To illustrate the point: In 2010, David Brailsford faced a tough job. He was the new General Manager and Performance Director for Team Sky. They are Great Britain’s professional cycling team. No British cyclist had won the Tour De France. He wanted to change that. He believed in a concept that he referred to as the “aggregation of marginal gains.” and explained it as “the 1 percent margin for improvement in everything you do.” He thought improving every area by just 1 percent would make a big change. His team searched for 1 percent improvements in tiny areas no-one else thought of. They found the pillow that offered the best sleep and took it with them on tour. They tested for the most effective type of massage gel. They showed riders the best way to wash their hands to avoid infection. Brailsford thought they could win the Tour de France in five years. In 2012, Team Sky rider Sir Bradley Wiggins became the first British cyclist to win the Tour de France. That same year, Brailsford coached the British cycling team at the 2012 Olympic Games. They dominated the competition by winning 70 percent of the gold medals available.